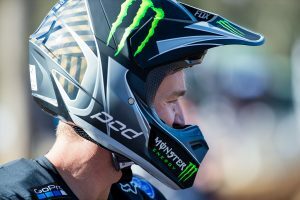 Webb clinches victory in Spain's fifth and final round. 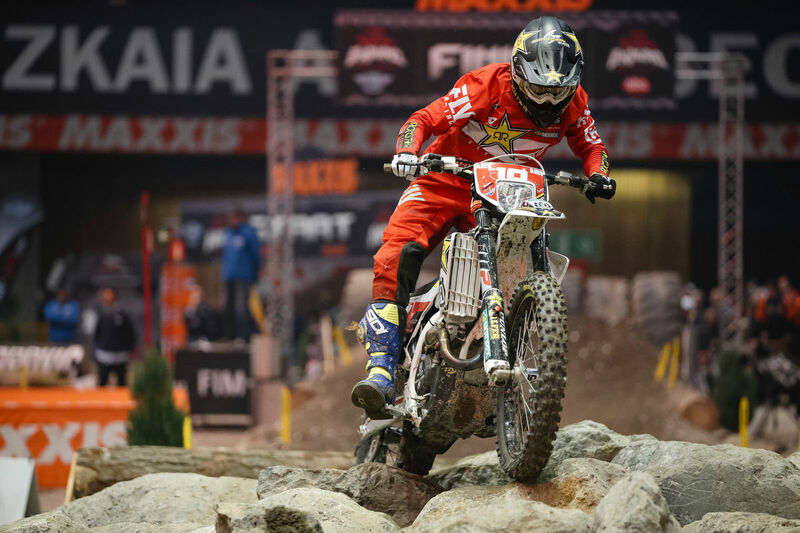 Rockstar Energy Husqvarna Factory Racing’s Colton Haaker has been crowned the 2019 Maxxis FIM SuperEnduro world champion at Bilbao’s final round of the series in Spain. It was Red Bull KTM Factory Racing’s Cody Webb who took out top honours on the night with 1-2-1 scorecard, while Haaker was second overall with a race win to his name, securing an incredible third world title in the series. 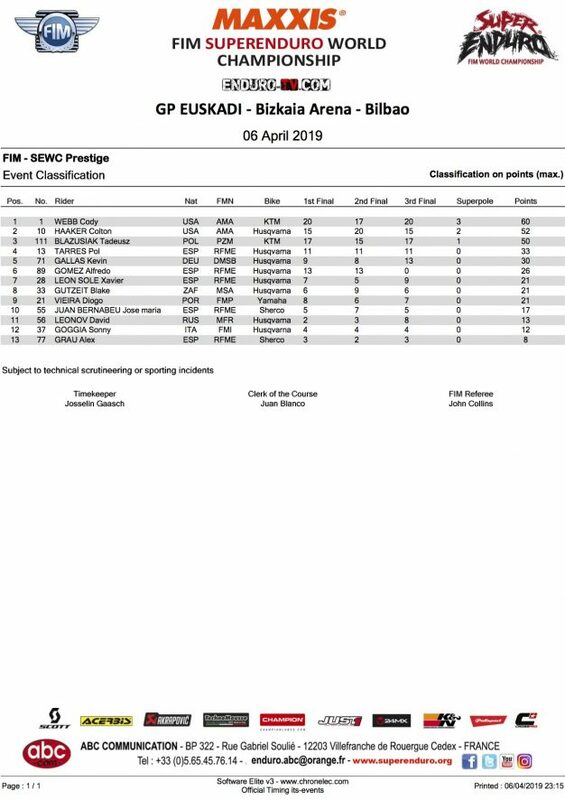 Taddy Blazusiak (Red Bull KTM Factory Racing) closed out the podium in third ahead of Pol Tarres (Husqvarna) and Kevin Gallas (Husqvarna). 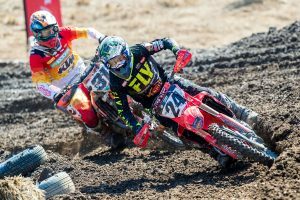 In the championship behind Haaker it was former champion Webb – just four points shy of the title – as Blazusiak accepted P3 in the points standings, 29 markers adrift of the leader.